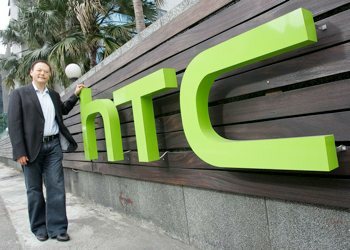 HTC is reportedly developing two Windows RT tablets that will debut sometime in 2013 according to sources familiar with the company’s plans. The rumors contradict earlier statements by HTC which said they would withdraw from the heated tablet market in the US, allowing big names like Apple and Samsung to continue their dominance in the space. The company’s renewed tablet interest has serious potential for success, granted HTC prices the slates appropriately. Anyone that remembers the $700 (with a two year contract) HTC Jetstream knows exactly what I mean, but I digress. This time around, HTC is said to be working on a 7-inch slate as well as a hefty 12-inch model. The latter is a bit out of spec compared to most 10-inch slates but as I recently discovered with the Lenovo Yoga 13, a larger tablet screen is actually quite nice to work with so long as weight and thickness are kept to a minimum. The slates are also unique in that they will be able to make phone calls, something we haven’t really seen before in a tablet. At this time, the only other information that we’ve heard is that HTC is likely to use Qualcomm chips to power the devices. The handset maker might have already released a Windows-based tablet if it weren’t for Microsoft. It was reported earlier this year that Redmond denied HTC early access to Windows RT, effectively preventing them from building a tablet that would be ready when the OS launched alongside Windows 8 in late October. Sources at the time believed that an HTC tablet would tarnish the Windows RT experience.